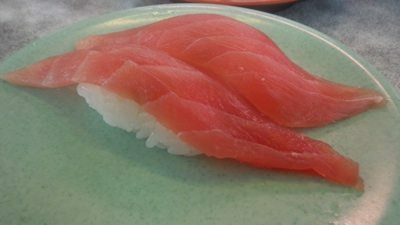 Kaitenzushi is a sushi shop where nigirizushi rolls up to you on a conveyer belt and you get to take your pick of Japan’s most celebrated culinary tradition. 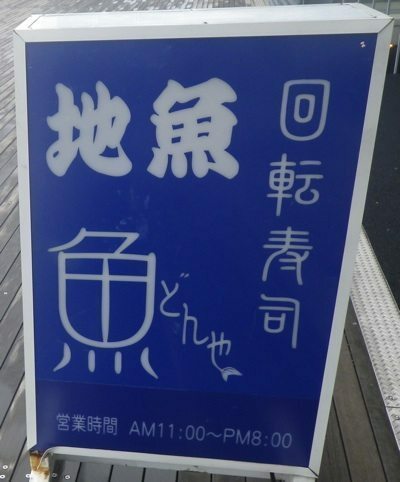 Sakanadonya is on the 2nd floor of Shimoda’s Michi-no-eki (road station), right next to the ocean. It doesn’t get any fresher than this! The cuts of fish are huge but if you are on a budget, don’t just look at the tasty bites of seafood, make sure to check out the plates. The dishes are priced according to the color and design of the plates the sushi is layed out on. Check the wall for a plate to yen conversion chart. Michi-no-eki is located near the port just a little north of the station on the 136, and is also a great place to buy omiyage (souvenirs). You can find it our map here.